On the night of 1-27-18, A 15-year-old confidential victim (CV) went to Cervantes residence at a north Merced residence in the City of Merced and was offered alcohol by Cervantes who had also been drinking. The confidential victim later reported that as she was sleeping that Cervantes had assaulted her by touching her underneath her clothing. The confidential victim accused Cervantes of attempting to touch her breast once and actually touching her breast on two separate occasions while she was at his residence. Cervantes admitted during questioning to providing alcohol to the confidential victim, massaging the feet of the victim and wrestling over a place to sit on the couch with her. 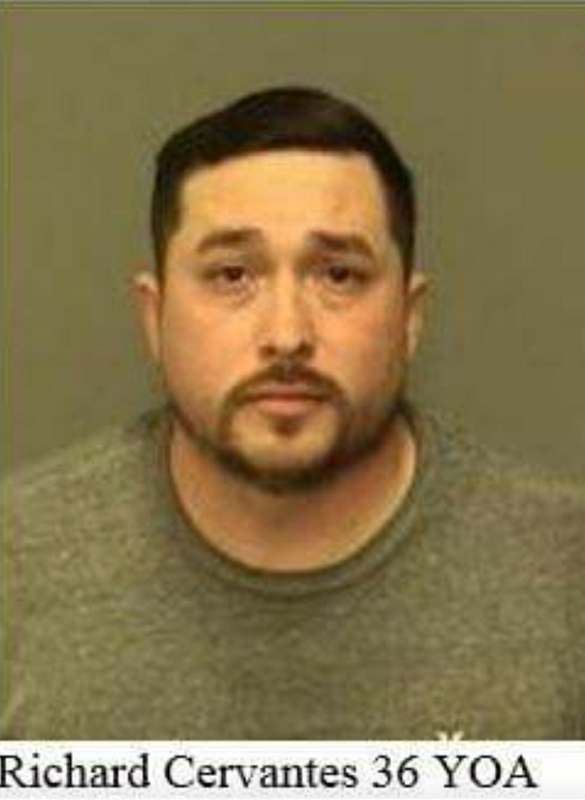 After interviewing several witnesses and gathering evidence, investigators arrested Cervantes for several violations and booked him into the Merced County Jail. Anyone with information is asked to contact Merced Police Detective Kalvin Haygood at 209-385-69987739 or 209-385-6905. Tips are confidential and callers may remain anonymous.